VIEWS! VIEWS! VIEWS! Rarely available 02 plan at Creekside by Bosa w/ gorgeous water & mountain views from every room. This efficient plan features an open gourmet kitchen with s/s appliances, modern cabinetry & granite countertops. BRIGHT & SPACIOUS living room with floor-to-ceiling windows & proper dining area. Engineered wood flooring throughout and extra-large patio perfect for BBQing & entertaining. Large master with cheater ensuite. 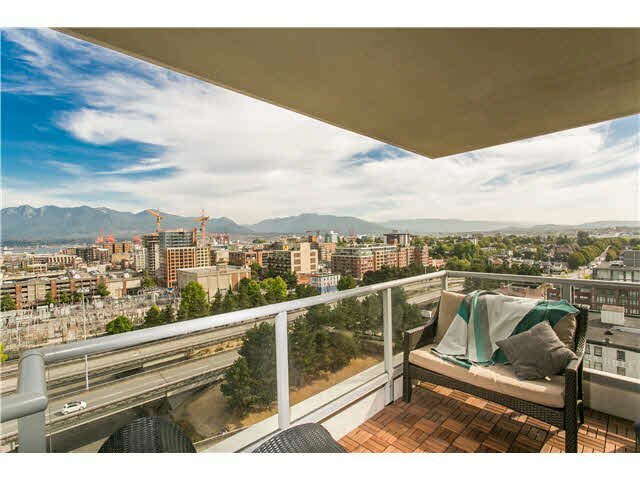 Be a part of the hottest growing area in Vancouver - steps away from amazing restaurants, the Sea Wall, Skytrain, Olympic Village & more. Proactive strata and well-maintained building with gym, sauna/steam & party room. Pets and rentals okay. 1 Parking 1 Locker. Hurry!